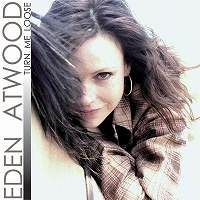 Eden Atwood has a voice that is many things - seductive, plaintive, sensitive, gifted with perfect intonation and phrasing, and entertaining. Her vocal style shows the influence of many jazz singers including Jimmy Scott, Shirley Horn, Sarah Vaughn and Billie Holiday. From 1993 to 1997, Eden released a series of well-received albums from Concord. Then, from 2002 and 2004, she recorded two beloved albums for the audiophile label Groove Note (their XRCD editions are available here at Eastwind Import). In 2007 she had a tumor removed from her vocal cords but came back strong with a slightly huskier voice. Now, with a series of new recordings for the Japanese SSJ Records, she has ascended once again onto the third phase of her career. For the first time in five years, Eden went back into a studio in California with superb musicians: Her trusted partner in music, David Morgenroth, Los Angeles-based bassist Chris Colangelo and legendary drummer Joe LaBarbera. In addition to her expressive and soulful singing and great arrangements, an interesting selection of songs enhances the value of this incredible vocal album. Recommended! Recorded March 12-14, 2009 at Umbrella Media, Chattsworth, California.